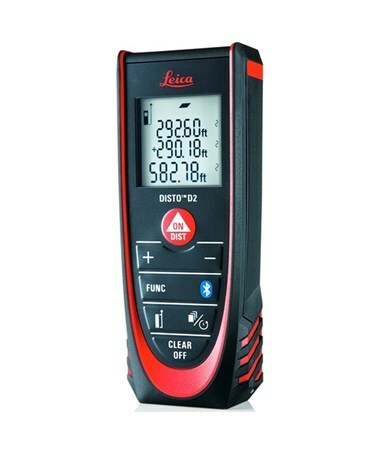 The new Leica Disto D2 with Bluetooth 838725 keeps all the great old D2 features with some fantastic new additions. The range is extended to a whopping 328' (100 m). The new D2 features Smart Bluetooth. Use this low-energy Bluetooth version to connect to your Smart-Ready (Bluetooth 4.0) phone, tablet, or laptop. 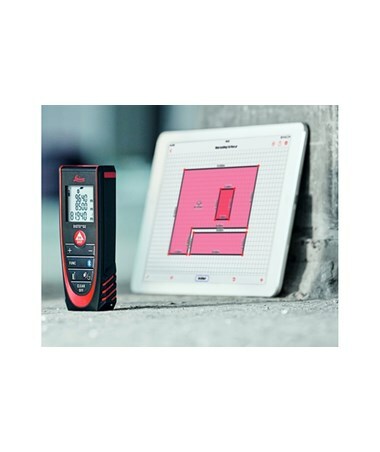 Download the free Leica Disto sketch app, and you're ready to add precise dimensions to your drawings and layouts. Each and every Disto measuring engine that comes out of the factory is ISO certified, so you know that you can rely on your Disto for accurate measurements every time. Consistently correct measurements are a piece of cake with the new Disto D2, which has an accuracy of 1/16” (1.5 mm). 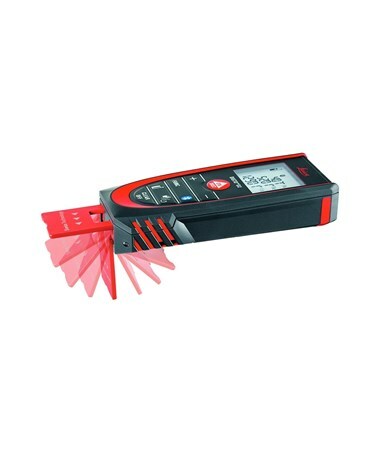 It features the multifunctional auto-detect end-piece (previously only available in higher-end Disto models) that makes measuring corners a snap. Fold it around outside corners or extend it out fully and place on inside corners for easy, accurate diagonals. The default starting point for measurements is the end of the Disto, but once you pull the end-piece all the way out measurements are calibrated from the tip of the end-piece instead. You have lots of functions to play with, starting with the basic continuous measurement function. You get built-in area, volume, and single-value stake-out functions. Use the add/subtract function to figure out the total wall surface area of a room so you can calculate how much wall covering you'll need. The D2 will help you out by remembering the last 10 measurements you made. You can also do 2-point and 3-point Pythagoras functions for indirect height and width estimates. 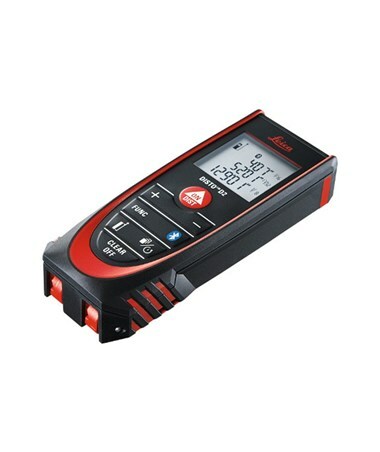 The Disto D2 measures a compact 4.6”L x 1.7”W x 1.0”H, fitting easily into the palm of your hand. 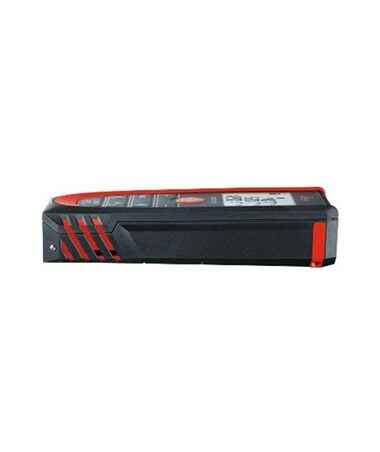 Weight with batteries is only 3.5 oz (100 g). 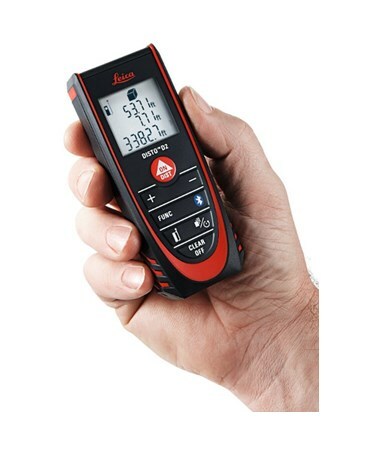 An IP-54 dust and water-resistant durability rating mean this dainty laser distance meter is ready to take on the outside world. 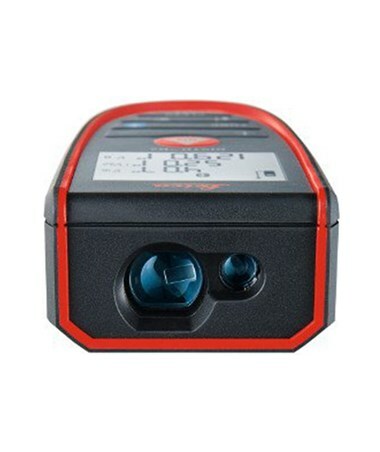 The D2 has a power-saving auto shut-off feature that shuts off the laser after 90 seconds of non-use and the unit after 180 seconds. 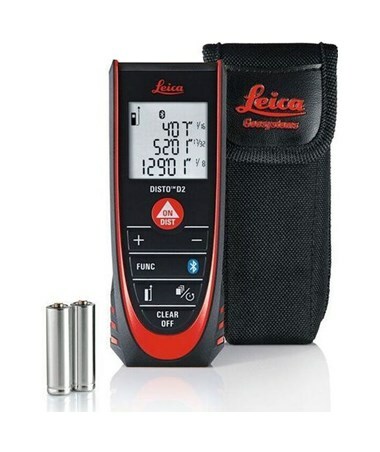 It uses 2 “AAA” batteries (included), that will last for about 20 hours or 10,000 measurements before they need to be changed. 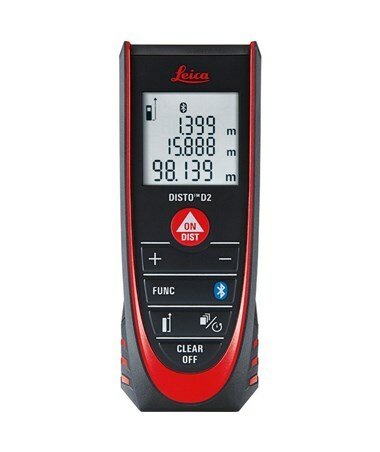 The new Leica Disto D2 Laser Distance Meter with Bluetooth comes with a hand loop and soft carrying case. 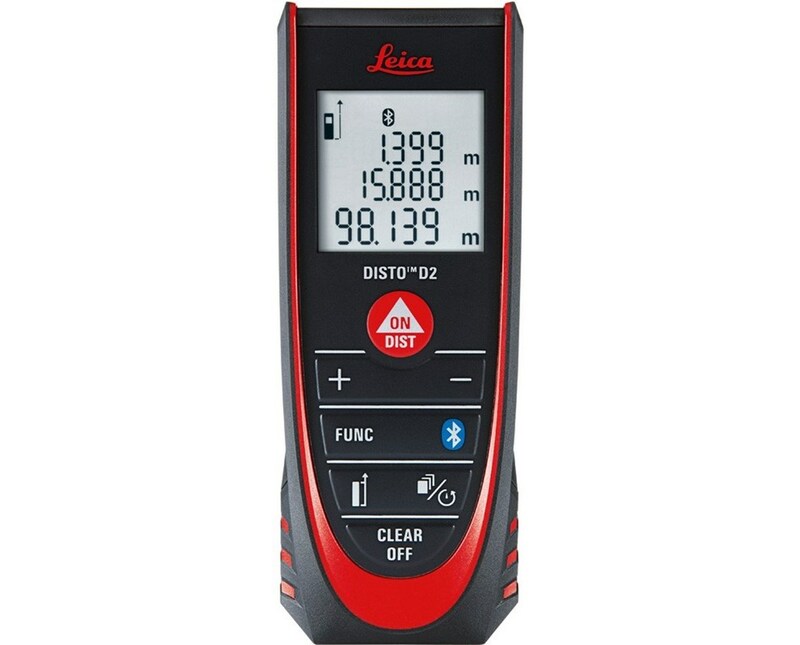 Leica backs up their product with a limited lifetime manufacturer's warranty and a limited 2-year no-cost exchange program, which is extended to 3 years if you register your Disto within 8 weeks of purchase.